Following my recent article about the Gozo Ministry, I received many positive remarks as well as a few negative ones, which viewed my article as critical of the Gozo Ministry. Due to this, I wish to clarify the meaning behind the article. My point in raising several issues about the Gozo Ministry was with the sole purpose of having the central administration strengthening the authority of the Gozo Ministry. This needed to be said as in past years those holding the position of Gozo minister had been criticised and had a shadow of doubt cast upon them. The Gozo Ministry was introduced in 1987 under the serious and good guidance of Anton Tabone. Things started to degenerate after his departure. The Gozo Ministry had previously become almost a political club. Newspaper reports had become almost all in the negative about the ministerial functions. Shadows of misconduct also became a norm in the newspapers. In general, objective Gozitans were not happy with these sort of news and happenings. Things had to change for the betterment of Gozo and Gozitans in general. Personally I myself hadn’t entered the Gozo Ministry in many years, till now, under the present minister. Justyne Caruana has had nothing but praise for her personal and administrative seriousness, both when she was a parliamentary secretary and now as the Gozo Minister. She is managing to re-establish order, seriousness and implementing past projects, new reforms and lay the basis for new projects in Gozo. Nowadays one does not see the ministry as a political club. The numerous incentives being established in cultural, social, infrastructure and better opportunities, are there for all to see. There was never ever any sign of wrongdoing or shadow of doubt on her integrity in any form or substance. As a matter of fact her character isn’t blemished in any way. I do believe that due to past mistakes, several departments which previously fell under the Gozo Ministry were taken away and consigned to others. Also in past years under the previous administration, the Gozo Public Registry files were all transferred to Malta. Gozitans who needed to prove their right to a property or heritage had to submit in writing to a private company in Malta. This against payment, which payments had to be made before replies were posted. If for example, a mistake was made due to similar names of parenthood, one had to submit a second petition to the same company. This of course would be against another payment which more so than not came to hundreds of euros. Now why was this implemented? Simply to better the finances of a company close to the previous administration. How about this when someone now criticises the present government about “Friends of Friends”? Under the present administration no fees are asked for the requests. But sadly as far as I now know these files are still being kept in Malta. Why? I had personally, as a private citizen, written to two different ministers asking that these files be returned back to where they belong, that is, the Gozo Registry Office. One minister replied in the positive but the second one didn’t. As far as I know, as my last correspondence was about a year-and- a-half ago, these files are still in Malta. This issue has to be settled as it’s not right or just. What belongs to Gozitans must remain with Gozitans. I also believe that all Gozitan workers in Gozo have to fall under the Gozo Ministry in their day-to-day running. One simply cannot supervise the workers in Gozo from any office in Malta. By sending an officer from Malta to Gozo once a month or every two weeks does not argue well for good supervision or administration. Also for the reasons that were listed in my previous article about this system. Nor can Gozitans understand how a building permission was granted to open two windows and a door unto the Citadel Ditch, when there was no approval from the Lands Department – the Gozo Civic Council. Or why the Citadel clock view will be obstructed when the original design was for the clock to be viewed from the Square and other parts of Victoria. In all of this the Gozo Ministry has no authority to approve or disapprove the project or building permission as these decisions are being taken from Malta. Gozitans are finding decisions oddly being taken by others, ruining our heritage, and without local consent. Many errors in decisions are being decided for us and there is no way or fixing the wrongs. Political policies regarding Gozo have to be changed and reviewed by the central administration. This is what I intended to be shown in my previous article about the Gozo Ministry. More so, I ask why projects declared and approved years ago are still not implemented and done. Why? Contrary to what is happening on the mainland where project after project is being carried out. One very important issue for Gozo is that regarding the second optic fibre cable. Has this been achieved? If not, what’s hampering this project when it has been on the agenda for years? I am sure that all present and previous administrations wanted this project, so what’s the issue? This is where I insist that the Gozo Ministry should and must have more clout. No disrespect to one and all. The latest statement by the Prime Minister that Gozo may be considered as the Capital of Europe in another 15 years’ time (even if invented on the spur of the moment) was still music to my ears. During these coming 15 years, just imagine the projects and emblements that have to be made in order for Gozo to reach these expectations. 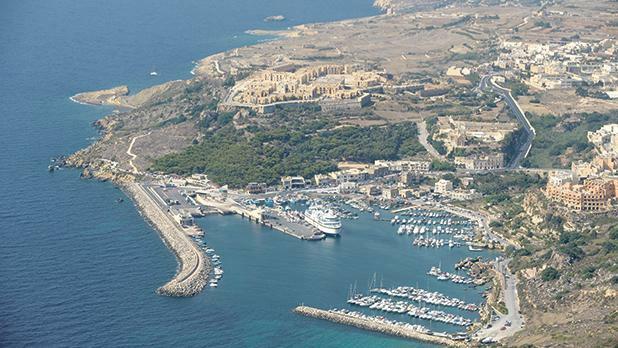 Gozo to become Europe’s Capital City. Unbelievable, but this could be a reality. Pity that many of us won’t be here to see it due to our mature age. But this gives hope and a better future for Gozo and Gozitans. This statement or remark may have just been a passing one with no real thought or seriousness in it, but still something which is music to my ears. Lino Debono is a former Labour MP.